Ende play raw, occult black metal. Having come to my attention with their second album The Rebirth of I, hearing Emën Etan reminds me just how much I enjoyed that release, and I really must listen to it again soon. But Emën Etan is what we’re here to talk about at the moment though. As much as I enjoyed The Rebirth of I, I think that Emën Etan is probably an even better release. 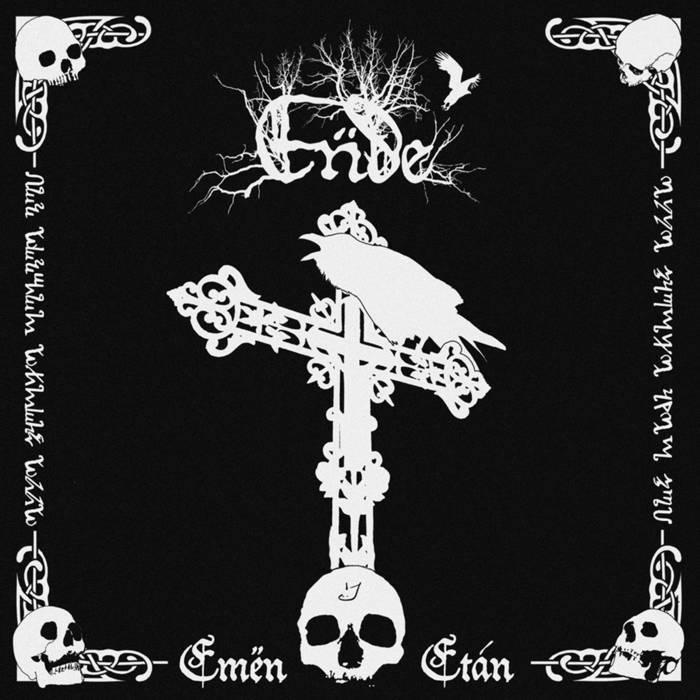 Ende sound more sinister and evil than ever, and in terms of second wave black metal, this is an even colder and more authentically frosted release than their second album was. The band really have got the authentic black metal sound nailed down; you can almost taste the 90s through the production on this album. That’s not to say Emën Etan is stuck in the past though. Old-school it may be, but its grim charms are very much still relevant in 2017 and these songs more than deserve to exist in the present day. The rhythmic icy grooves, hoarfrost-edged riffs and dark melodies are all extremely enticing, beckoning you to get closer to them as they sharpen their claws just out of sight. The singer’s voice is just as orthodox as the rest of the music. His screams are very good, and his performance is suitable acerbic. Creating the right mix of aggression and atmosphere, the songs are extremely satisfying and pleasing examples of the art of black metal. If you’re looking for an honest and true interpretation of the genre, you can do a lot worse than Ende. Simply put; this is black metal played by people that clearly know the style inside out, and who produce high-quality music with the ease of veteran craftsmen.